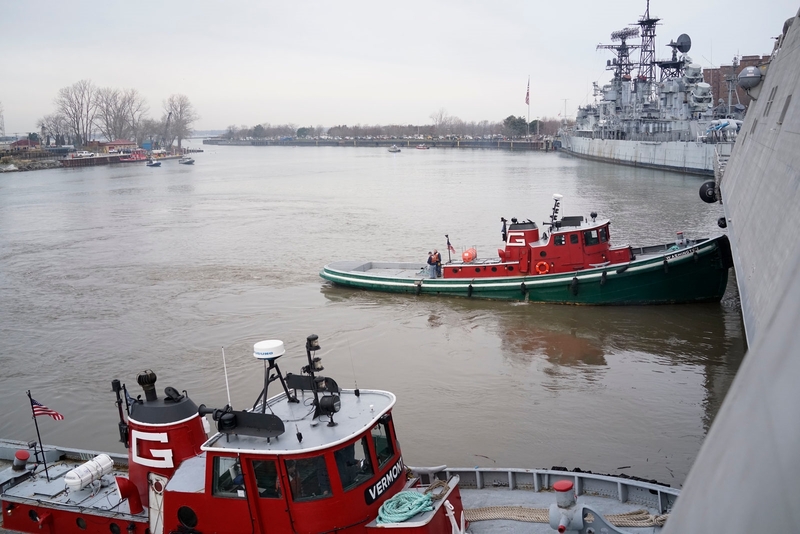 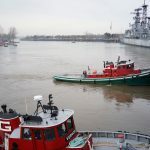 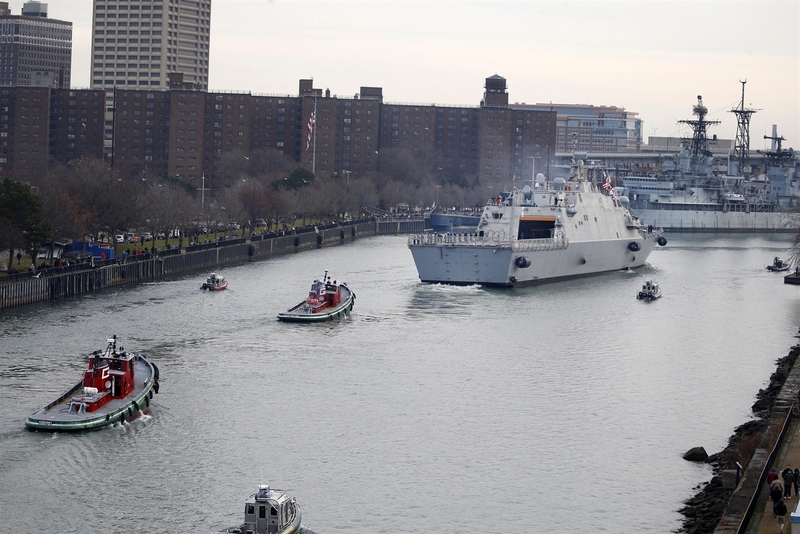 The Great Lakes Towing Company Tugs VERMONT and WASHINGTON assisted the USS LITTLE ROCK LCS9 in Buffalo on December 4. 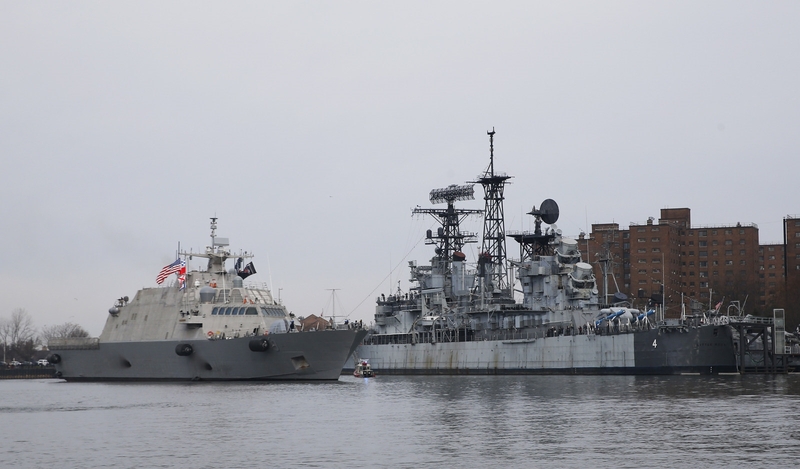 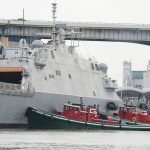 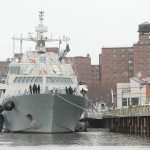 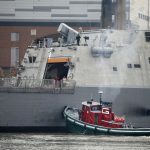 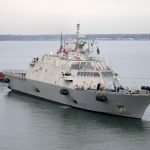 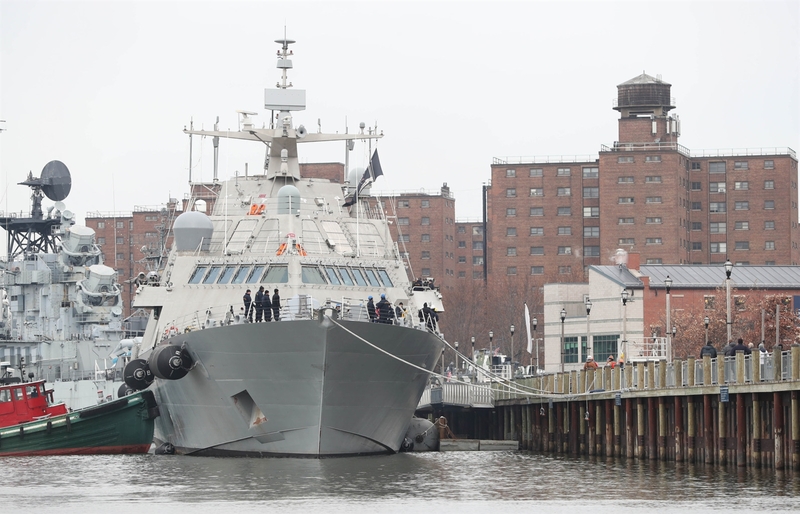 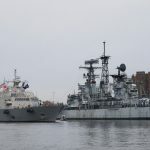 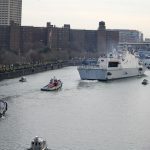 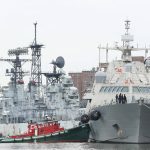 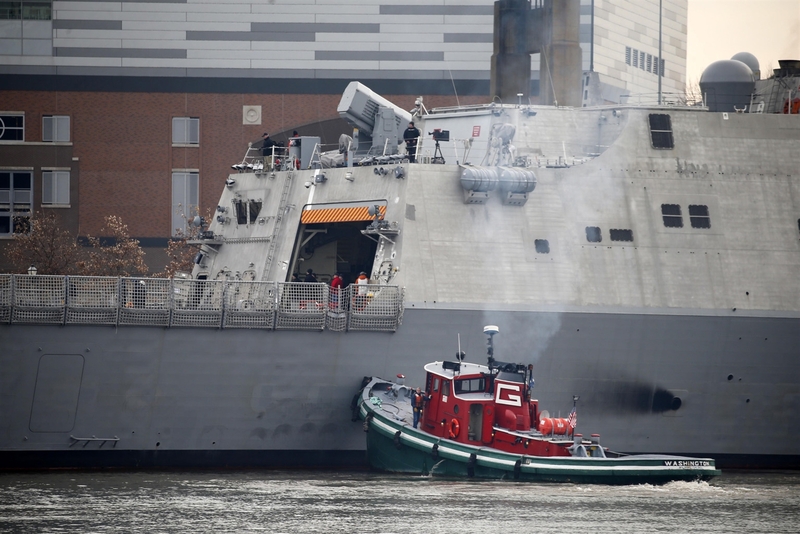 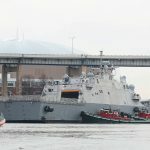 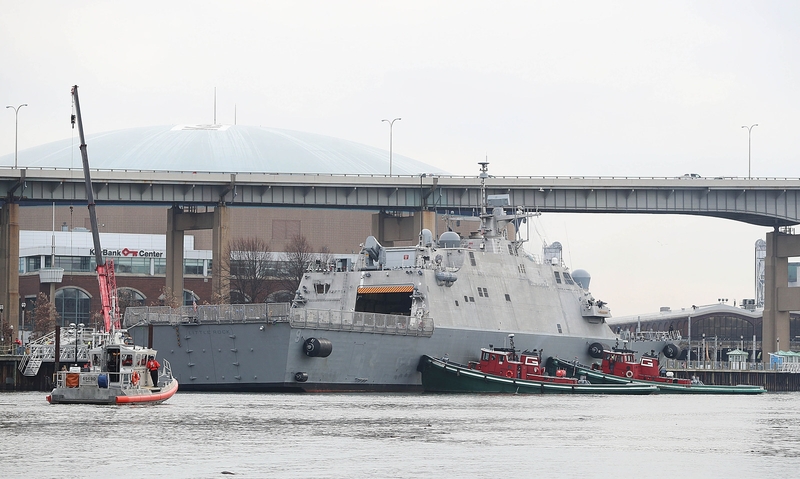 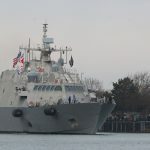 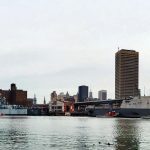 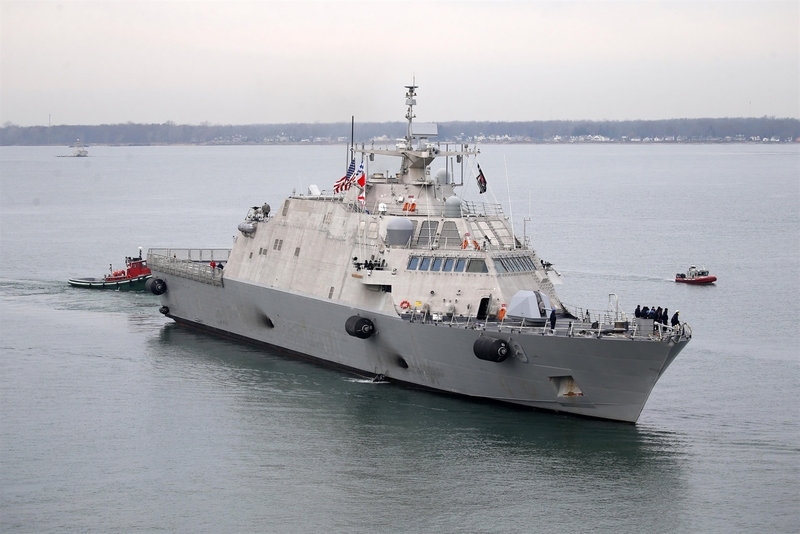 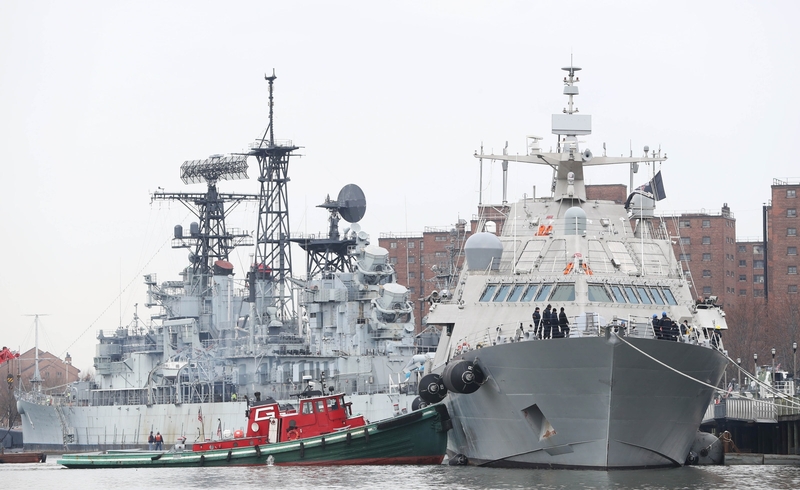 The high-speed ship steered from Lake Erie into the Buffalo Harbor to dock at Canalside, about 50 feet from the decommissioned World War II era USS Little Rock guided missile cruiser. 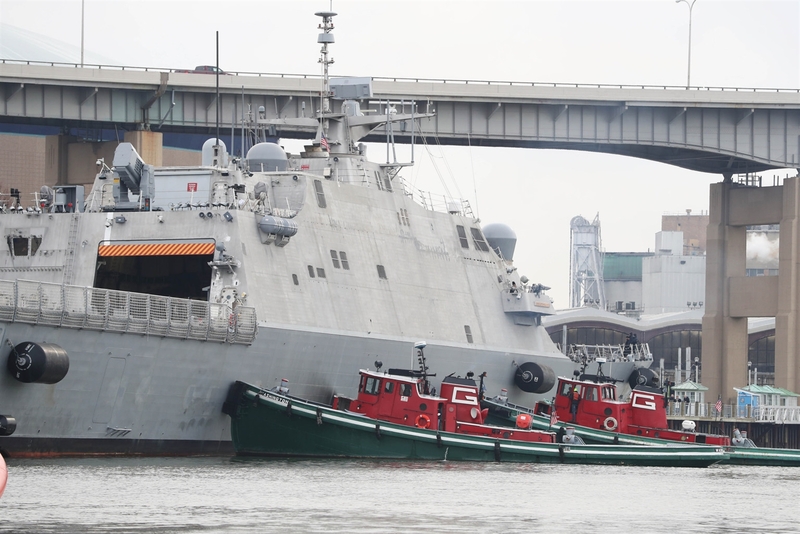 The Navy commissioned the $440 million ship on December 16.